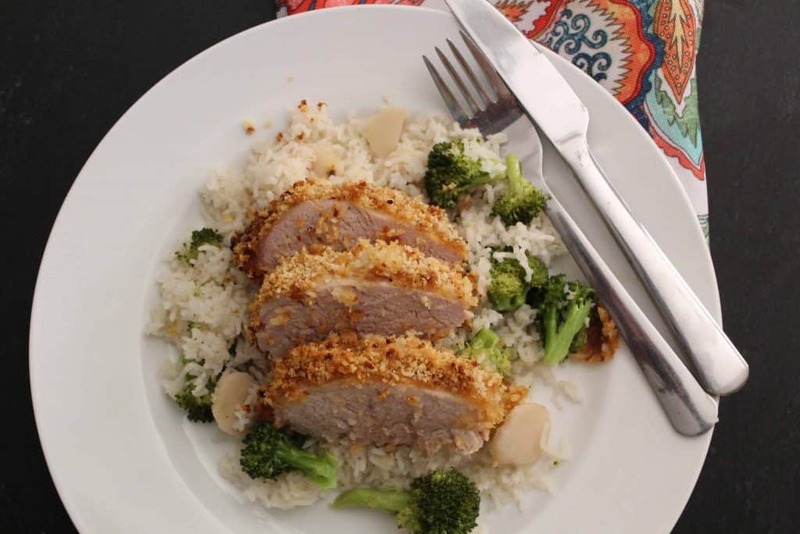 Panko Crusted Tenderloin is a nice alternative to a traditional baked tenderloin because of the added crunch from the Panko Crumbs! 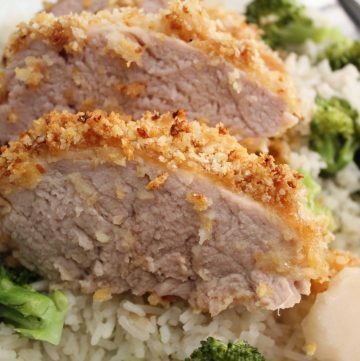 Panko Crusted Pork Tenderloin is very easy to make and delicious! I buy an unseasoned tenderloin and lightly salt and pepper; then, I pour a sauce over the tenderloin, and roll it it panko crumbs. Next, just place it on a lightly oiled baking dish uncovered, and bake at 375ºF until the internal temperature reaches 165ºF. What Kind of Sauce Do I Use for the Tenderloin? You can use any sauce you want! I’ve used teriyaki sauce, and served it with fried rice and vegetables. I’ve also used only a bit of oil, and added parsley, rosemary and thyme to the Panko crumbs, and served it with steamed vegetables. 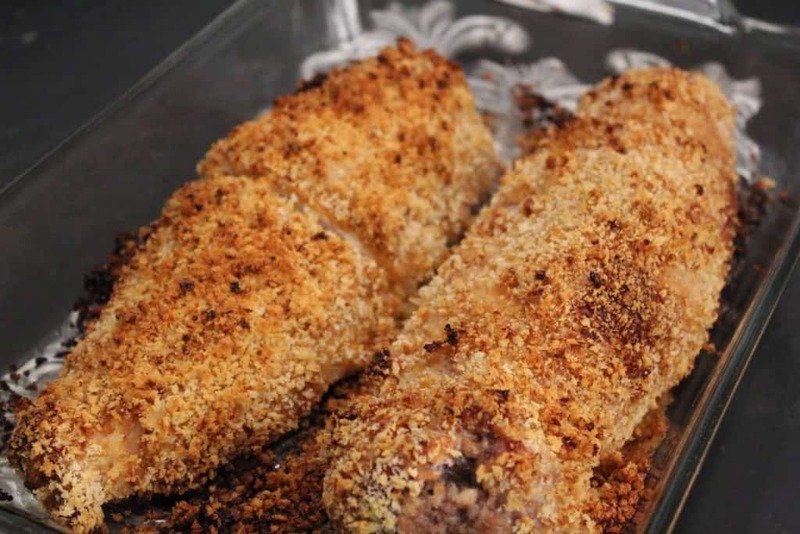 Another popular option is to season the tenderloin and Panko crumbs with Italian seasonings, and serve it with a bed of pasta and San Marzano sauce. How Long Do I Cook the Tenderloin? Generally speaking, about 15 minutes per pound, however, this guideline is for ovens that work well, which mine doesn’t. I cook the tenderloin(s) — there are often two to a package–for about 40 minutes, uncovered. The best way to determine the doneness is by using a meat thermometer. The middle of the pork tenderloin should register 165ºF at a minimum. Do I Need to Let the Tenderloin Rest After Baking? Yes. Once you remove the pork tenderloin from the oven and confirm the internal temperature is 165ºF, then place a foil “tent” over the tenderloin for about 5 minutes. This allows the juices to realign which ensures a moist tenderloin. 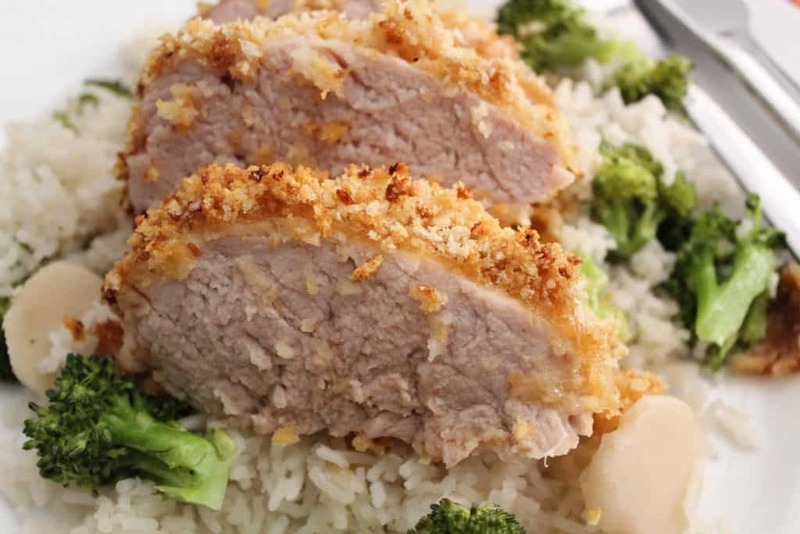 Crispy on the outside and tender on the inside, this Panko Crusted Pork Tenderloin is a winner every time!